RALEIGH, North Carolina (CNN) -- Federal authorities are searching for an eighth alleged member of a North Carolina group that authorities say plotted "violent jihad" overseas, the prosecutor's office said Tuesday. Daniel Patrick Boyd, left, and Mohammad Omar Aly Hassan are two of the seven men charged. Robin Zier of the U.S. attorney's office in Raleigh said the eighth person, whose name has been redacted from court documents, is a U.S. citizen. She said that U.S. Attorney George Holding had said federal authorities hope to have the person apprehended soon and that the public should not be worried. The attorney's office would not release further details. According to an indictment released Monday, the eighth suspect, described as a North Carolina resident, traveled to Pakistan in October to "engage in violent jihad." It offered no other information. Seven other men have been arrested on charges of supporting terrorism and conspiracy to commit murder abroad. Officials identified three of the men as U.S. native Daniel Patrick Boyd, 39 -- who had fought the Soviets in Afghanistan -- and Boyd's sons, Dylan Boyd, 22, also known as Mohammed, and Zakariya Boyd, 20. The four others are Mohammad Omar Aly Hassan, also a U.S.-born citizen; Hysen Sherifi, identified as a native of Kosovo who is a legal permanent resident of the United States; and Hiyad Yaghi and Anes Subasic, who are naturalized U.S. citizens. Officials did not immediately identify the native countries of Yaghi and Subasic. Sabrina Boyd, the wife of Daniel Patrick Boyd and the mother of the two younger Boyds, said the charges have not been substantiated. "We are decent people who care about other human beings," Sabrina Boyd said in a statement read on her behalf by Khalilah Sabra. "I have raised my sons to be good people, and we are a good family," she said, according to Sabra, the North Carolina director of the Muslim American Society's Freedom Foundation, a civic and human rights group. Sabrina Boyd said in the statement that her husband had fought the Soviets in Afghanistan with the "full backing" of the U.S. government. According to the indictment, Daniel Boyd and his sons left the United States for Israel in June 2007 to "engage in violent jihad but ultimately returned to the United States after failing in their efforts." 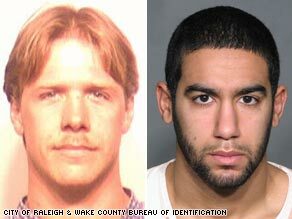 It said that Yaghi and Hassan had also traveled to Israel in June 2007 and that Daniel Boyd had lied to Customs and Border Protection agents at the Atlanta, Georgia, and Raleigh airports about intending to meet the two men in the Jewish state. The indictment also said Daniel Boyd had traveled to Gaza in March 2006 "to introduce his son to individuals who also believed that violent jihad was a personal obligation on the part of every good Muslim." The indictment mentions mentions other trips: by Sherifi to Kosovo in July 2008, by Yaghi to Jordan in October 2006, and by the unidentified defendant to Pakistan in October 2008. All the trips were taken to "engage in violent jihad," the indictment alleges, without providing details. The documents make no reference to a direct threat to individuals or property in the United States but said the men had practiced military tactics in a North Carolina county that borders Virginia. The defendants, with a substantial cache of weapons, had "practiced military tactics and use of weapons on private property in Caswell County, North Carolina, in June and July 2009," the indictment said. Daniel Boyd, "a veteran of terrorist training camps" had "conspired with others to recruit and help young men travel overseas in order to kill," according to a written statement from the Justice Department's top counterterrorism official, David Kris. It was unclear whether the seven had hired attorneys, and the federal public defender's office in Raleigh did not immediately return a call for comment. CNN's Mike Ahlers contributed to this report.